Continuing the countdown of nature mentoring tips leading up to the publication of "How to Raise a Wild Child," here's this week's offering. 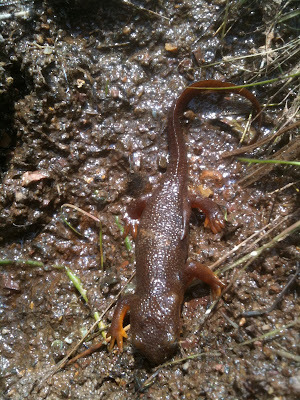 Too often these days, children’s encounters with nature are dominated by a look-but-don’t-touch directive. Fearing that we must protect nature and our kids at all cost, we often do far more harm than good. Nature connection depends on firsthand, multisensory encounters. It’s a messy, dirty business—picking leaves and flowers, turning over rocks, holding wriggling worms, splashing in ponds. Lacking such experiences, children’s growth is impoverished and they’re unlikely to care for, let alone protect, natural places. So loosen up and find some hands-on nature experiences for the kids in your life. Rather than telling kids “no” all the time when they want to climb a tree, throw a rock, or step into a muddy pond, take a deep breath and offer words of encouragement. Don’t worry so much about the dirt and scrapes. Clothes and bodies can be washed, cuts heal. Most of the time, kids don’t need to be shown how to connect with nature. It’s engrained in their DNA. Rather than seeing nature connection as something you need to teach young children, the real key is simply to take them outside and let them do what comes naturally! At least on occasion, seek out some wilder places where kids can go off-trail and bushwhack a little. Nature connection is a contact sport, and nature can take it! 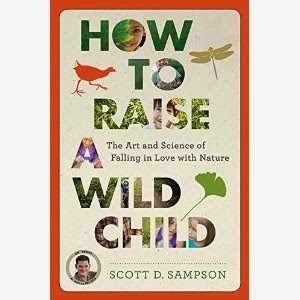 Don't forget to preorder your copy of "How to Raise a Wild Child," due out March 24th! In the countdown to the March 24th release of "How to Raise a Wild Child," here is #9 in the Top 10 Nature Mentoring Tips! Whether wandering, sit spotting, or just hanging out in nature, it’s important to fully open your senses and expand your awareness to everything around you. Encourage the children you’re with to do the same. To begin, play with Deer Ears and Owl Eyes. Deer have amazing hearing, thanks in part to their very large ears, which capture the faintest of sounds. Try having children (or adults) cup their hands behind their ears and notice the difference in the sounds they can pick up. Ask them to figure out the most distant sound they can hear, and the total number of different sounds they can identify. Similarly, owls have amazing eyesight (and hearing). In this case, invite kids to soften their vision so that they can see as much as possible in multiple directions. Ask them to look straight ahead and move their outstretched hands forward from behind their heads to find the point where their hands first come into view. What is the most distant thing they can see? Then, on subsequent visits outdoors, pause once in a while to remind kids to use their Deer Ears and Owl Eyes. 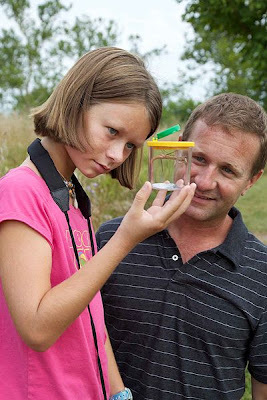 The mentor’s role is to continually push the boundaries of the child’s sensory sphere, helping her to see, hear, feel, touch, and smell the everyday nature that surrounds us. Happy New Year everyone!! The Whirlpool of Life has taken a lengthy hiatus as I finished my most recent book, "How to Raise a Wild Child: The Art and Science of Falling in Love with Nature." Oh, and I have a day job to contend with too at the Denver Museum of Nature & Science. However, the book is now completed and scheduled for release on March 24th. Here's the Amazon page, in case you're interested. So I thought it'd be appropriate to feature a parallel countdown of nature mentoring tips, building on tips I have shared before. But let's call these the Nature Mentoring Top 10. And, since there's no better time of year to consider establishing new habits, we'll kick things off with some new nature habits. Changing behaviors is all about making new habits. So start a habit of getting the children in your life into nature more often. Take some time to discover the varieties of wild or semiwild nature close to your home and explore these places with your children. For young children, it might be the local park, the schoolyard, or your backyard. Even a few minutes a day is a great start. Chances are you and your kids will quickly discover that there’s far more to see and do than you imagined. 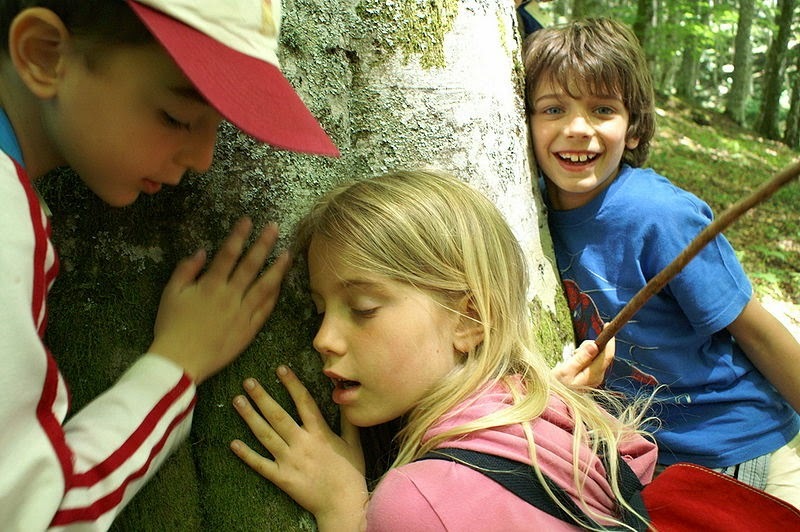 Most young children will have no problem engaging with their natural surroundings. Their curious minds are built to do just that. Older children who’ve established a bias toward electronic screens may take a little more coaxing; this is where grown-ups need to exercise some imagination, and even foster a trickster mentality. Rather than telling children that they need to go out because it’s good for them, think about encouraging them to play games like tag and kick the can. The key here is to establish nature as the fun and preferred option for playtime. And here’s another habit to work on: the more you demonstrate the value of nature through your own actions, the more kids will tend to adopt the same value. NATURE TIP #4: You Don't Need to Be an Expert! Many parents and teachers are intimidated to take children out into nature for fear that the kids will ask questions the adult can’t answer. The truth of the matter is that very few people are true nature experts, able to identify the bulk of plants and animals in a given region, or address queries about rocks, clouds, and waterways. And the great news is that you don’t need to be an expert! You simply need to take kids outside, show enthusiasm and respect for the outdoors, and let the child lead the way. If kids ask questions you can’t answer, work together to come up with some plausible explanations and perhaps continue the discovery on the computer when you get home, figuring out the answers together. While out in nature, take on the role of mentor rather than teacher. That means questions are typically far more powerful than answers. Watch the child carefully, find out what they’re interested in—perhaps some insect, bird, or tree—and then ask them something about it. “Why do you think that squirrel spends so much time in trees?” “How big do you think that cloud really is?” The key is to power up imaginations and help to inspire wonder and awe. Oh yeah, and have fun! I believe that the disconnect between humans and nature ranks among the most pressing and overlooked crises of our time, threatening the healthy of children and adults, and the places they live. Countless organizations--from natural history museums to zoos to botanic gardens to environmental educators--claim to be connecting people with nature. But when I went out searching for a single, encompassing how-to guide on nature connection, I couldn't find one. As a result, following several years of research, I'm now immersed in writing a general audience book (for Houghton Mifflin Harcourt Press) on this subject, researching the art and science of connecting people (and especially kids) with nature. I know that many of you have a love of nature, as well as experience connecting others to the natural world. So I'm seeking your assistance. If you know of any great ways to forge an emotional bond between children and nearby nature, please share them with me. Perhaps you know of some recent amazing study, or an organization out there worth profiling. If so, I would be most grateful if you'd share these insights with me. Who knows, maybe your example will end up in the book together with an acknowledgement to you for your contribution! The 21st Century is the age of crowd-sourcing. 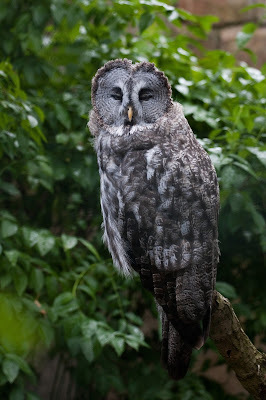 Thanks very much in advance to all of you wise owls for sharing your collective knowledge!! Find a place close to home that’s immersed in a natural (or semi-natural) setting. Ideally, this place will be in your backyard, so that it’s easy to get to. Visit this spot regularly—preferably daily or at least several times a week—and sit quietly there, observing with all your senses. Stay each time for 30-40 minutes, breaking visits into 10-minute intervals. 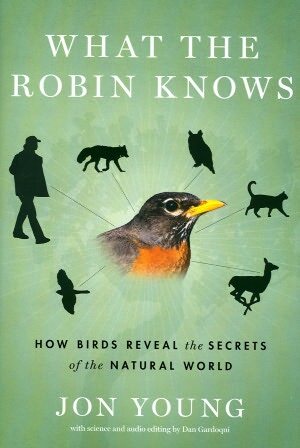 Listen for birds and other animals, tracking your observations with notes and pictures in a nature journal. Encourage the kids in your life to do the same. In this way, with a little patience, anyone can learn the local “bird language,” the acquired skill of understanding the meaning of local animal calls and movements. Sit spot practice will get you in touch with all the wild nature events happening daily around your home. Pretty soon, those random birds will become characters with individual personalities that inform you about the current “mood” of the neighborhood. For more information, check out at a pair of books by Jon Young: “What the Robin Knows” (Houghton Mifflin Harcourt, 2012) and “Coyotes Guide to Connecting with Nature, Second Edition” (Owlink, 2010, with E. Haas and E. McGown). 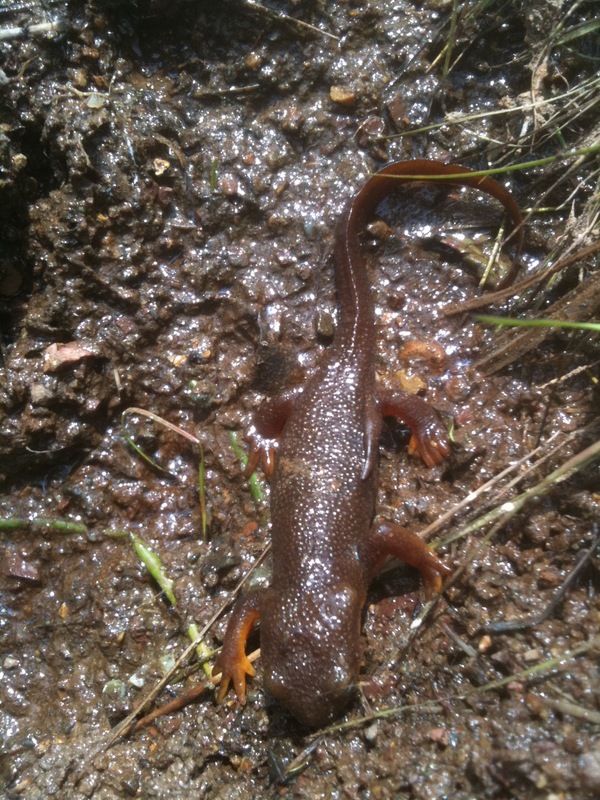 An essential ingredient of nature connection is learning to see animals, plants, and other life forms as subjects rather than objects. Young kids do this instinctively. Yet, unfortunately, most of us “grow out of it” during our middle childhood years. One of the best ways I know to maintain and foster this kind of attitude is the “soap bubble technique,” invented by German biologist Jakob von Uexküll. Head outside and picture every creature surrounded by a soap bubble that represents its own individual sensory world. Now imagine being able to step inside the bubble of your choice—say, of a robin, earthworm, or butterfly. No matter what your selection, your world becomes transformed. Because all creatures have highly specialized senses, the experience of colors, smells, tastes, and sounds is very different in your chosen bubble world, as are your motivations. Encourage kids to find their favorite animal, enter the imaginary bubble, and experience this alternate world. To spur thoughts in the right direction, you might ask, “Why do you think that creature is acting that way?” Of course, the soap bubble technique is aided by some knowledge of the sensory world of the creature in question, but such understanding isn’t necessary. It’s the imagination that counts most. Best of all, by adding on new layers of knowledge, this approach can be used effectively with preschoolers all the way up to “university graduate schoolers,” offering an amazing outdoor educational tool.